Last night Linda and I went to our first rock concert in over 10 years. geez, it was pricey, but well worth it. Carlos Santana and his band took the stage and opened with “Singing Winds, Crying Beasts”, the opener from his 1970 sophomore release Abraxas. I got goose bumps and it didn’t stop there. He played and played, even inviting opening act Derek Trucks to join him in an extensive jam in the middle of the show. 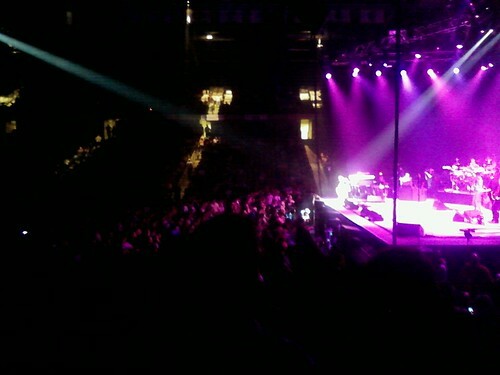 The show was at the brand new UCF arena, a very nice venue. Our seats were very close to the stage, but well off to the side. They performed for 2.5 hours, and we got home about 12:30am. My ears are still ringing this morning. This, from the FAIL blog. A collection of amusing images of mishaps and screwups. 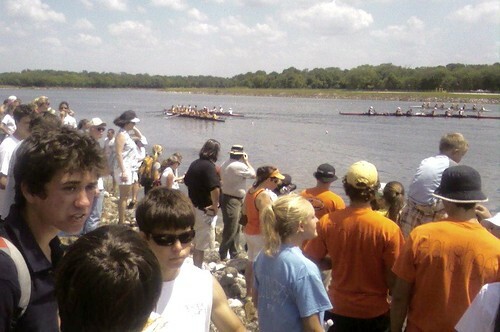 The team dominated the state championship races in Tampa this weekend. Women’s varsity eight won their first big race this season, and women’s lightweight eight and men’s lightweight eight (with Ted Issen) also took first and brought home gold. The team is stoked for Stotesbury in three weeks. Gina sent this cellphone photo Sunday from the race site. Makeshift goes on hiatus for the next couple months while bass singer Seth takes off for his multistate marathon running roadtrip. He’ll be running in 10 marathons over 11 weeks, from North Carolina to Alaska. 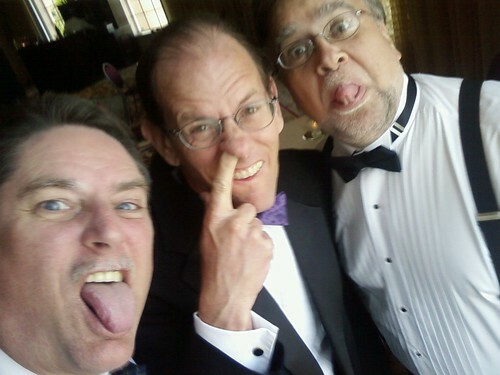 Here’s a cellphone snapshot from a wedding gig we did this weekend – Pete booked our group – and he was attending the ceremony while we three waited for the cocktail reception to begin. Linda approves of my suggestion that Daniel Craig and Dana Delaney be cast in the forthcoming movie about our lives. Who should play other family members? I’ve added some production photos and some early rehearsal photos, there are 31 pictures here. These are the best of the lot, there are a few more in the complete photo set here. 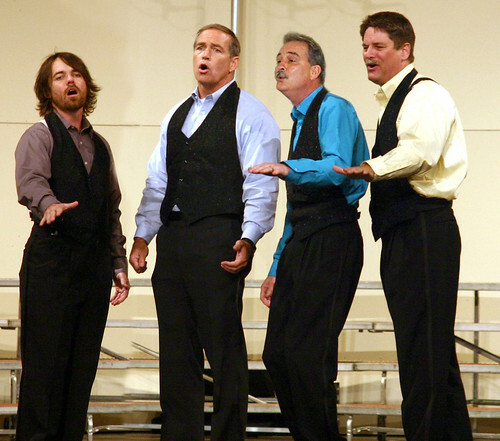 This occasional quartet has agreed to appear in the May 17th annual show produced by the Orange Blossom Chorus. 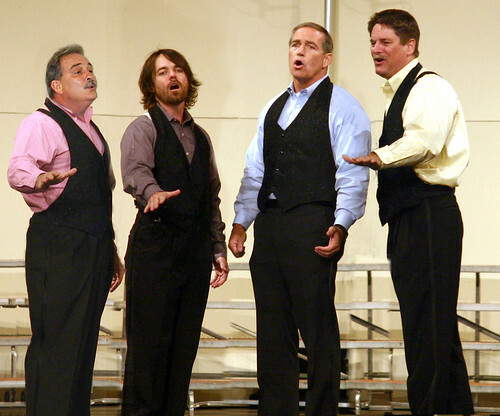 We are (l-r) Troy Williams (tenor), Joe Elmer (bass), Dean Dix (lead), and myself (baritone).